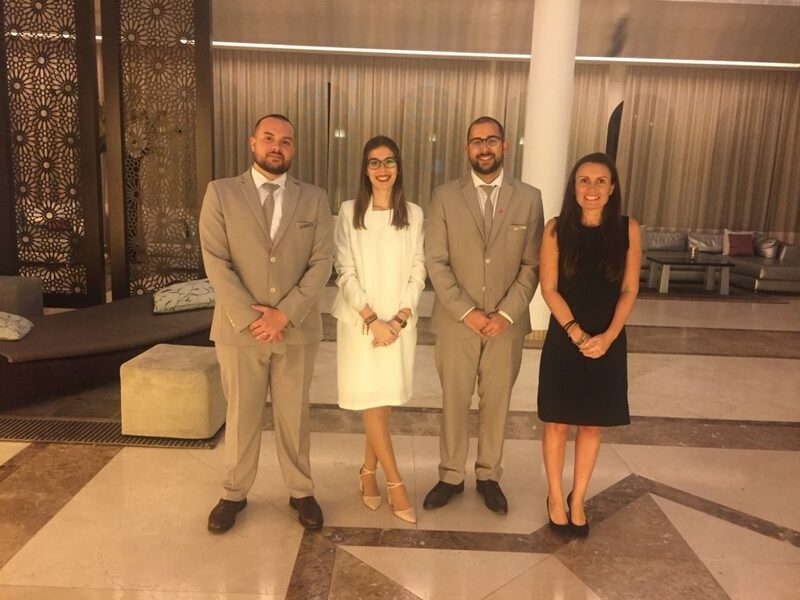 We interviewed EADA alumnus Iñigo Bonilla, who graduated from the International Master in Tourism & Hospitality Management in 2017. 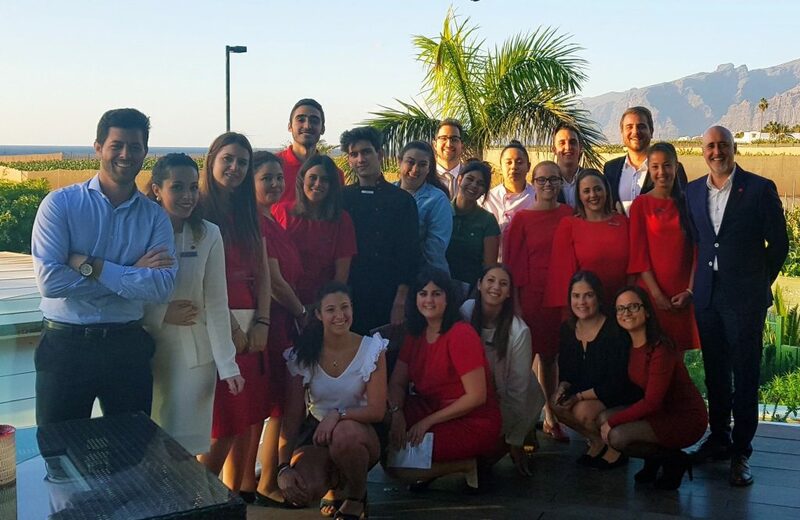 Iñigo career after graduation with an internship in the reception department in the Gran Meliá Palacio de Isora Hotel in Tenerife, and he currently works at the Akelarre Hotel Relais & Chateaux in San Sebastian. What has the programme meant for you? First of all, it was a springboard into the tourism sector. A body of knowledge that I didn’t have when I finished my undergraduate course, more specific and important in regards to my future. In addition to this, the fact that it was in English was a very positive thing because it helped me improve my language skills. Another positive aspect of the programme are the classes, taught using the “learning by doing” method. This system forces you to work each and every day and to be consistent, something which I had always found hard to do and I have really seen a great deal of improvement in me in this respect. Of course this involved reading and studying cases and books, analysing them, reading more, writing papers and still more and more reading. Having said that, for me the most important thing were the people who were involved over the year of the master course. From the professors, who gave us the classes and who are still there for anything we may need, to EADA’s administrative staff and alumni. But above all, my classmates who had to “put up with me” the whole year. We still have contact, each in a different part of the world, and I still keep in contact with most of them as often as possible. Additionally, the professional contacts, who in the future will most certainly be there to give me a hand if needed. I will continue to gain experience and know-how in the sector and after that I will adapt little by little depending on what comes my way in the future and on the circumstances. One thing I’m certain of is that I will eventually return home sooner or later to continue working in the sector and help to promote it even further. Iñigo with his team at the Gran Meliá Palacio de Isora. Firstly, as mentioned previously the people and the diversity of the programme. A class of 22 people of 16 different nationalities livens things up inside and outside the classroom. On top of this, if we add the other master programme students with even more nationalities, then it speaks for itself… You don’t always get the opportunity to work with so many people from different walks of life and one thing for sure, the master gave me great friends from all around the world. Something similar can be said of the professors. We had professors of many different nationalities, each of them with a different background and that gave us the opportunity to see everything from different points of view. Secondly, working in groups throughout the year gave us the chance to learn how to be part of a team, how to lead it, to be able to listen to different points of view and learn how to communicate better. All this, along with the sessions we had at the Residential Training Campus on learning how to improve our interpersonal skills, constituted key features of the master. For me especially! When someone who was in the Residential Training Campus with me reads this, they will know exactly what I’m talking about. Lastly, another important aspect was the chance to visit different hotels, restaurants, trade fairs and event organisers. Seeing a company from the inside is crucial for finding out how it really works and getting the opportunity to see various companies that are all different, it teaches you more than just theory. The cultural diversity and the people with whom I shared the International Master in Tourism & Hospitality Management programme have changed my life. What makes the International Master in Tourism & Hospitality Management different? I don’t want to sound repetitive but really the two things that makes EADA different are the people, their diversity and how the programme changed my life in a way. Also, the development of interpersonal skills with the Collbató sessions. I don’t know or haven’t heard of any business schools that offer anything similar. We have always been taught, at least where I come from, that if you study a lot and amass a lot of knowledge you are bound to get further ahead in life. But, emphasising and developing other types of skills beyond pure knowledge helps you to address the future in a different and more positive way. What was your most memorable moment at EADA? There were many good moments throughout the year but if I have to choose one I would say the graduation ceremony. The graduation was the reward for a whole year of hard work, surrounded by our families and friends, our classmates and their families and the professors. A day of enjoyment for everybody, for celebrating the beginning of a new phase in our lives and at the same time a farewell. In fact there are many people I haven’t seen since that day. Even so personally, I regarded that day as a “see you soon”. Could you summarise what EADA has meant to you in one sentence? An incredible experience that has changed my life and that I will never forget.